Some harmony, in Gogledd Cymru at least was restored as the national team returned to play in the founding town of its association for the first time in 11 long years. 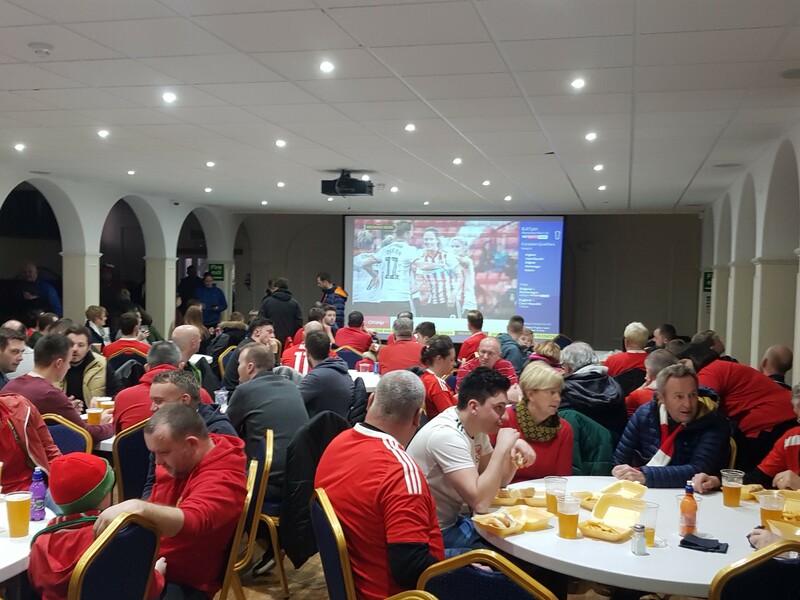 If you starve someone of something they crave for long enough then the excitement will be palpable when they finally get a taste, and that’s exactly what happened at a packed Racecourse Ground. Well, initially. It was more a timid than triumphant homecoming as a barely recognisable Wales stumbled to a last-gasp 1-0 win over the stubborn Soca Warriors. And the talking points after the game were not so much about how a second-string XI featuring several debutantes fared, but why Giggs' safe selection arguably contributed to an atmosphere which went from fervent to flat as fast as a Rabbi Matondo dribble. Maybe it was due to so many acquaintances being renewed in the stands after what feels like an eternity since we last saw the side in action but, after a quite magnificent rendition of the national anthem the anticipation levels of the 10k crowd dipped, not alarmingly but noticeably. Friendly vs qualifier. First team full of star quality vs a second string team with Paul Dummett as a stand out performer. No Barry Horns. Unfamiliar territory for many. All components which produce a very different dynamic. 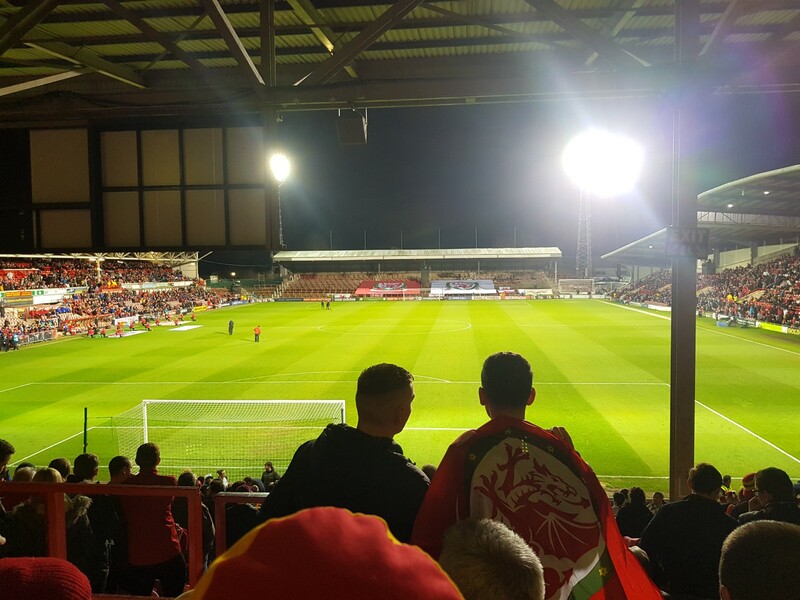 In truth, it all felt like an audition, with the players trying to impress the fans, the fans wanting to impress the FAW. I later found myself engaged in Twitter warfare with a Newport County fan (who wasn’t at the game by the way, but stated he followed them regardless of “6,000 or 60,000") whinging that the atmosphere didn’t live up to the ‘hype’ generated on social media in the weeks leading up to the game, and that therefore the games should only be played at the CCS. That will be the same CCS that had next to no atmosphere when we were crap with more blue seats on show than people. Rome wasn’t built it a day and neither was Wrexham, although both feature ancient ruins adored from far and wide. To anyone possessing an ounce of realism the omission of Gareth Bale from the matchday squad came as no great surprise. A dreadful lunge on Ben Woodburn on the stroke of half-time is precisely the reason Bale wasn’t risked. He would have been the most obvious target for Trinidad & Tobago’s hatchet men. Some fans on social media accused Giggs of ‘shafting’ us North Walians. The perception we are treated as the ‘poor relation’ feeds the inferiority complex many feel is justified. I can understand their ire but can you imagine the uproar if Bale got injured just days before the start of a qualifying campaign? Giggs knows he needs to get it right with his honeymoon period well and truly veering into decree nisi territory. Allowing his star player who is partial to an injury or 20 to get crocked would be a disaster for him and an early hammer blow to our chances of returning to Europe again. We’ve got plenty of bullets and Giggs was never going to supply us with the gun with which to use them on him. 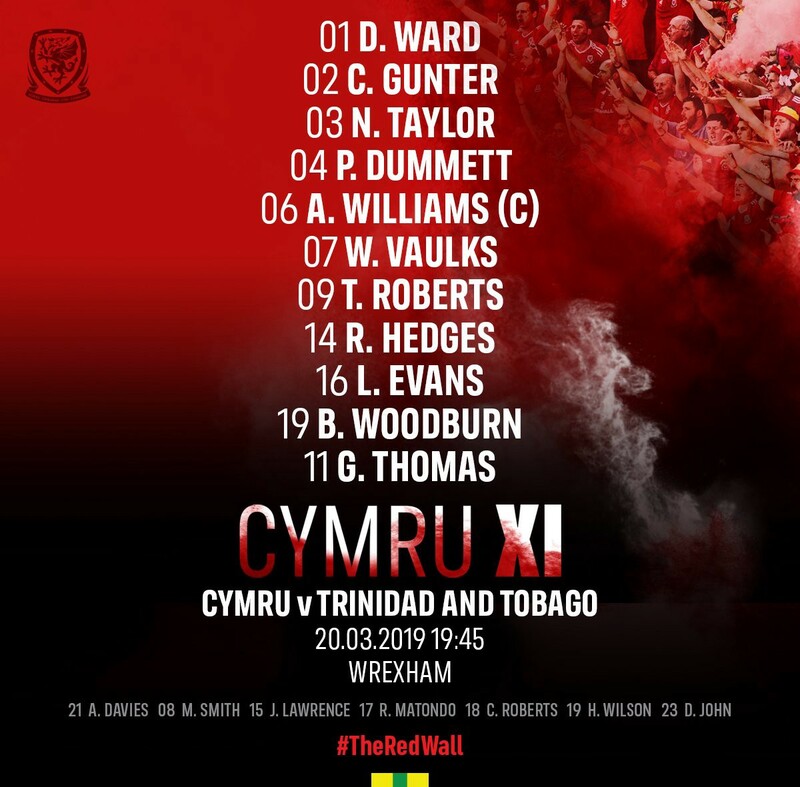 Whilst I can understand the disappointment of fans, particularly the youngsters wanting to get a glimpse of the man who will forever symbolise Welsh football I was reasonably happy with the starting XI. Wrexham links in the form of Danny Ward and Neil Taylor, captain fantastic Ash, a reborn Dummett, a first look at Will Vaulks, Oh Chris Gunter, the Starman scorer playing on the right. Not bad at all really. We’ve covered the general mood surrounding the game, but what about before? Seeing Instagram story posts from South Wales-based friends stating their anticipation ahead of a road trip north hit home how a change of scenery can give invigorate everyone. 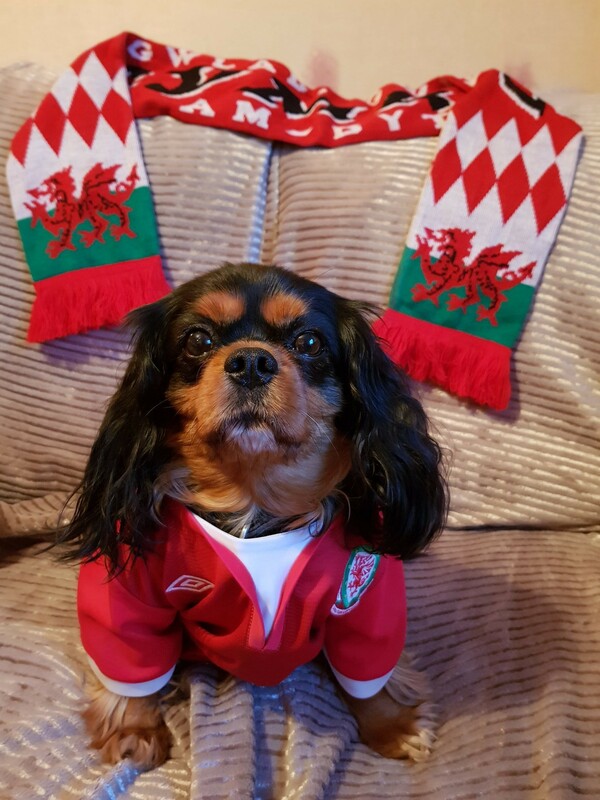 Even people’s pets (Claire Payne tweeted the pic below) had caught the bug as it swept back across North Wales and beyond. Don’t get me wrong, I enjoy my trips to the CCS and being part of a Canton Stand in full voice but boy, it was nice to be ‘home’ again. Those who usually have to beg, borrow or steal a day off work in order to support the team in the capital in midweek were afforded respite. It felt bloody lovely. I finished work. Walked to my folks for tea. Walked the dog. Had a brew. All before the Six O’Clock news and the five minute drive to the oldest international football stadium on Earth. It’s the small things in life I guess. It seemed apt that those fans who arrived early enjoyed an afternoon in the beer gardens across a Town famed for its lager. Spring had sprung as a balmy and sunny day made way for a glorious spectacle under the famous ‘massive’ Cae Ras floodlights, with all four given company in the form of temporary additional lighting to meet UEFA regulations. 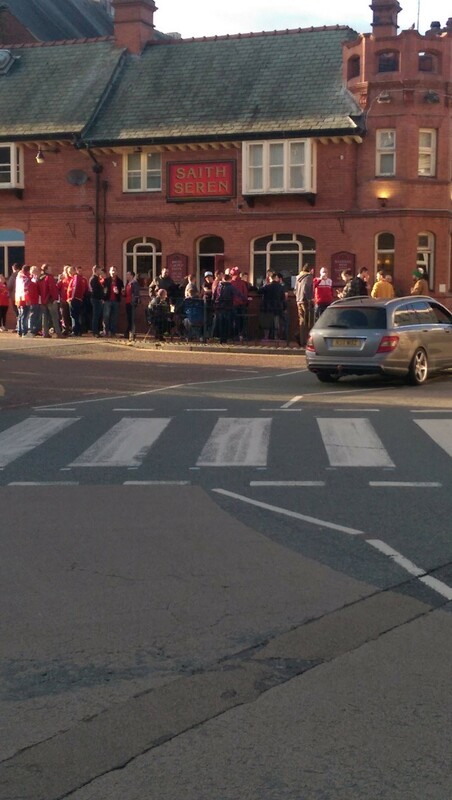 There was standing room only in the watering holes near the ground as they were awash with swathes of red and a sea of signature bucket hats. It turned out the grand occasion did not meet everyone’s expectations but let’s get some perspective here. 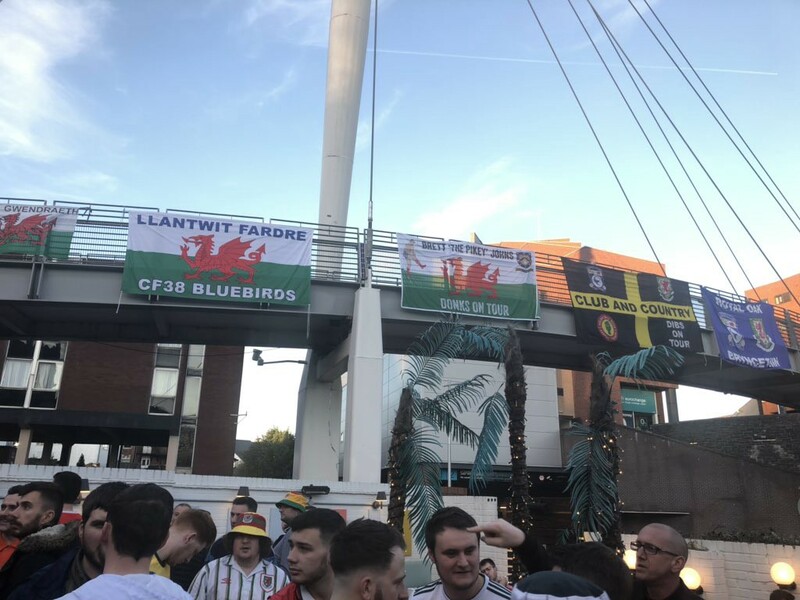 Welsh football came home. It will come back again. 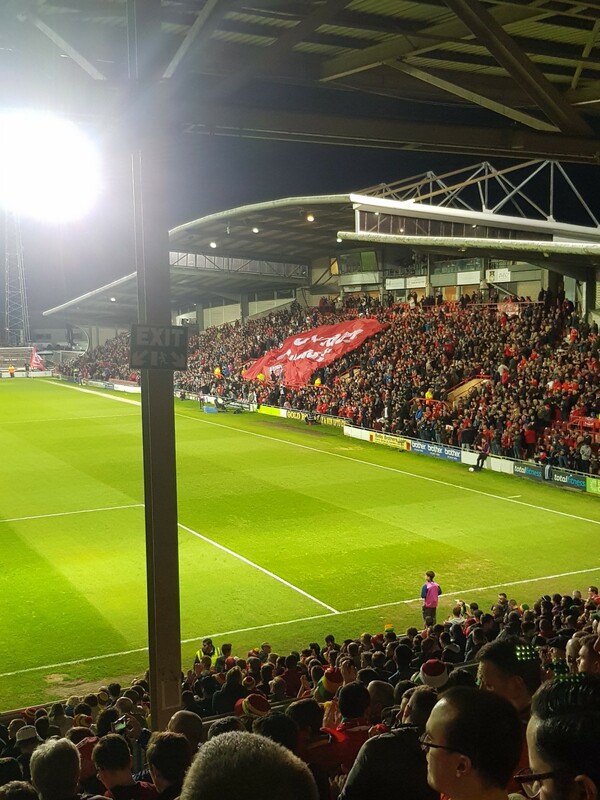 All that remains is for Wrexham to align the perfect symmetry and complete this season’s mission to return to League Two, once again ending an 11 year wait for something thousands of us desperately desire.